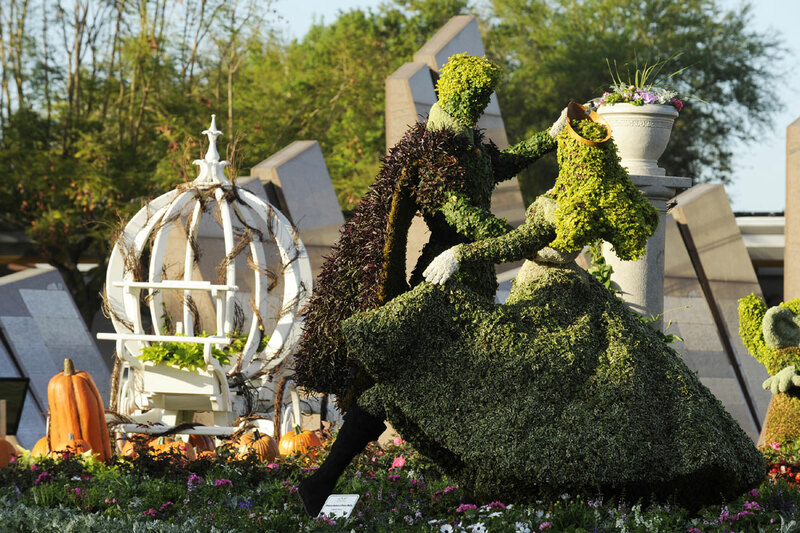 With the first weekend of the 2009 International Flower & Garden Festival in the past now’s a great time to look at some of the event’s many highlights. Four beautiful sets of Topiaries greet guests as the enter EPCOT each day. Sleeping Beauty has all the gracefulness given to her by Marc Davis’ animation. 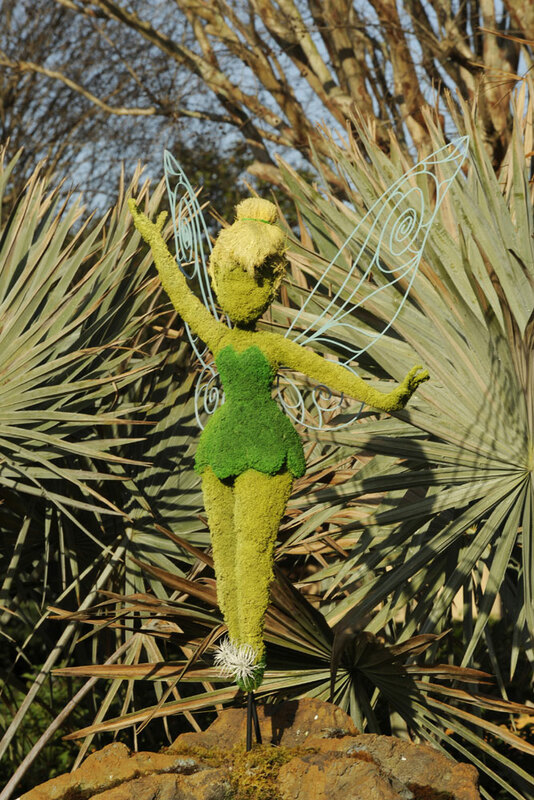 Tinker Bell Topiary greets guests as they enter Pixie Hollow (click on each image to expand). 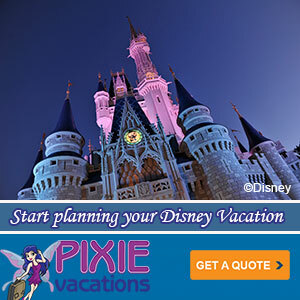 Guests of EPCOT’s International Flower & Garden Festival are in for a new kind of Disney fantasy when the Pixie Hollow Fairy Garden magically immerses them in the enchantment of Tinker Bell and her friends as never before. The garden will be open as part of the festival which runs for 75 full days, March 18-May 31, this year. The Pixie Hollow Fairy Garden is one of the most detailed creations ever dreamed up for Epcot International Flower and Garden Festival,. 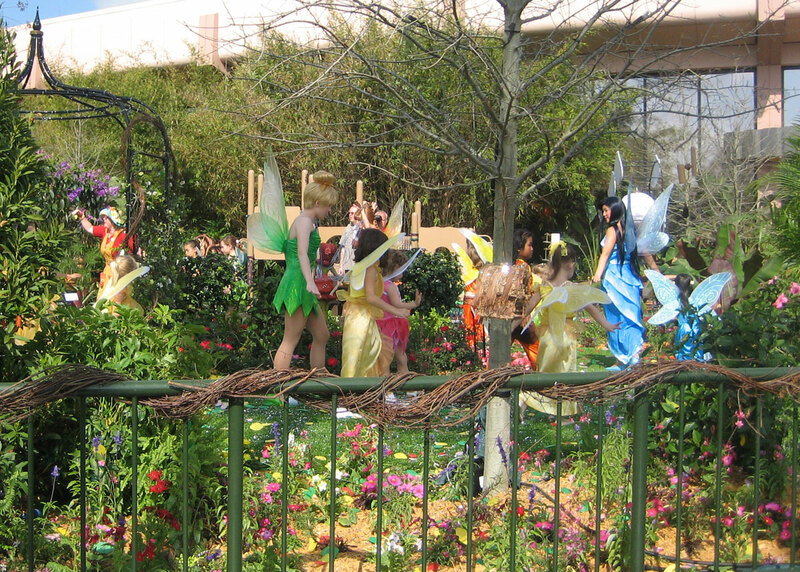 The lush and leafy play area showcases Tinker Bell, Rosetta, Silvermist, Fawn, and Iridessa in the form of sparkling, detailed topiaries. The fairies’ tools and treasures—ingeniously crafted with objects they’ve found during visits to our world—adorn the serene setting. After the opening ceremony Tink and her fellow Pixies play in the garden with the day’s honorary pixies (really Cast Member’s children). Most wonderful of all, the Pixie Hollow Fairy Garden offers kids plenty of “pixie power” with hands-on activities at Tinker’s Nook Workshop and the joy of exploring all the adventure they can imagine. Every day at 2 p.m. children are invited to dress in their favorite fanciful frocks and be part of a grand Fairy & Princess Processional through the colorful surroundings. 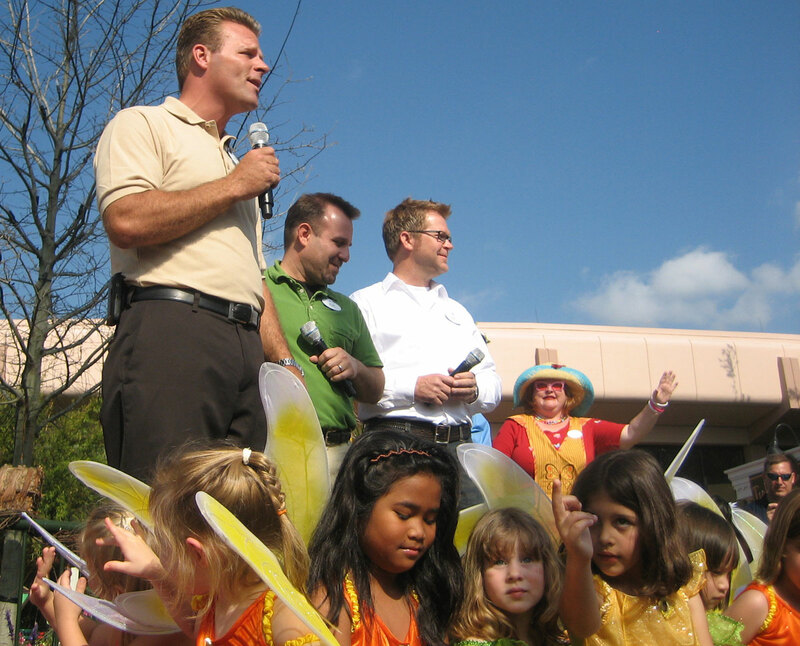 On March 21, special festivities commemorated the opening of the Pixie Hollow Fairy Garden and the direct to DVD animated feature, Tinker Bell and the Lost Treasure. The fun started with a kickoff celebration that included a visit from two-time Emmy-nominated director Klay Hall and producer Sean Lurie, who signed autographs and took photos with guests. These festivities and events, as well as a behind-the-scenes look at the making of the Pixie Hollow Fairy Garden, will be among the bonus features to enjoy when Tinker Bell and the Lost Treasure premieres in Fall 2009 on Disney Blu-Ray and DVD. For more information about the 16th annual Epcot International Flower & Garden Festival, click on www.disneyworld.com/flower.